Vietnam’s capital city of Hanoi is in the north of the country in the Red River Delta. The local terrain is varied, and includes a riverine area and midlands stretching out towards the mountains. PWC predicts it will prove to have been the fastest growing city in the world from 2008 to 2025 in terms of GDP growth. 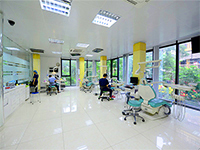 It is also fast becoming the emerging dental tourism destination with among best values on the planet. The humid subtropical climate brings copious rains during summer. The winters from November to March are drier but become humid in the second half. During this time temperatures can fall quite sharply, accompanied by cloudy, foggy conditions. Spring showers bring relief, although Autumn is generally the best time to visit. Hanoi has many lovely lakes which continue to attract lovers of the outdoors with a keen eye for photography. The old quarter near the shores of Hoan Kiem Lake is largely unchanged in terms of architecture and street layout. This area is famous for silk shops, art galleries to delight collectors, and artisans plying their trade. There are also restaurants as well as several clubs and bars. Other intriguing places to pass the time in the city of the lakes include the Temple of Literature dating from the 4th Century, the One Pillar Pagoda, and the huge Hanoi Citadel dating back 900 years but only rediscovered in 2004. More energetic visitors jog or cycle along the lakeside roads, as they take in the sights that include grand French colonial architecture. When the sun sets the city’s numerous shopping centers, karaoke bars, bowling alleys, cinemas and night clubs spring to life to entertain the visitor. Tourists have a range of classic, easy eating Vietnamese restaurants to choose from, where they can explore everything from western recipes to rice noodle soup with beef and chicken - and more exotic dishes if they prefer. 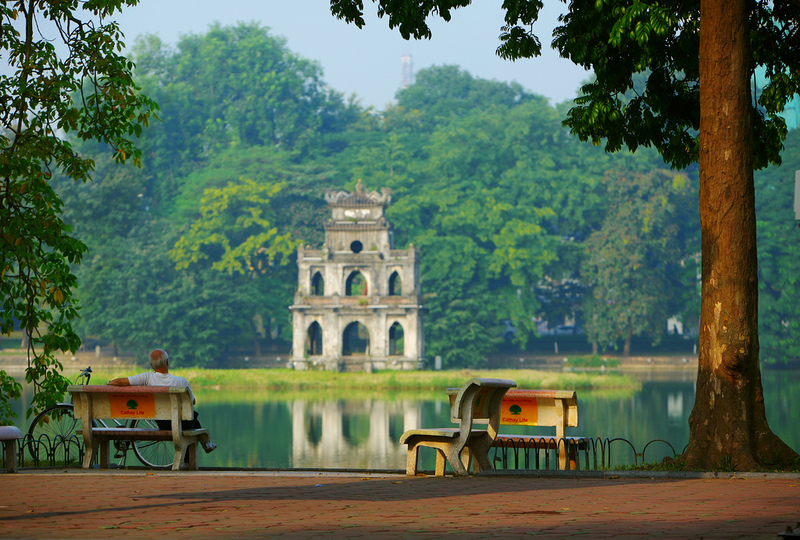 Hanoi is also Vietnam’s education hub and boasts a number of highly-rated tertiary institutions. 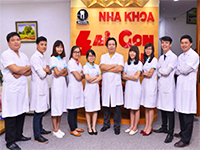 They include Hanoi University of Technology, the University of Languages and International Studies, and Hanoi Medical University. The latter – which dates from 1902 and is the most venerable – has a thriving dental faculty that keeps the city supplied with well-trained, competent dentists. Dental tourists from Europe, North America and Australia arrive daily at Noi Bai International Airport (HAN) to explore the delights of the cosmopolitan capital, and benefit from highest standards of dental treatment readily affordable on the cross rates. The two modern terminals have capacity for nine million passengers annually, and are a half hour drive northeast of downtown Hanoi along a modern highway. 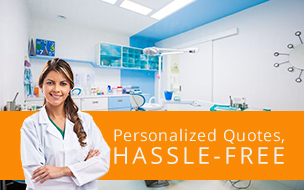 Dental Travel Services is dedicated to assisting dental tourists to obtain the premium services of highly trained dentistry professionals who match western standards in all regards. We propose to be your dental contact point from the moment you arrive to the moment you leave. We are also able to advise on travel and accommodation, and ensure your dentistry is delivered without compromise on quality - but at a price that will leave you feeling pleasantly surprised. The city is served by the Noi Bai International Airport (HAN), which is located 35km to the north of the city. Regular flights are available to a number of destinations in Asia. Taxis are the best way to travel long distances, but the cyclos, or pedicabs, are a cheap way to make shorter trips. Taxi fares are not always consistent, and the rates for each taxi company have not been standardized. For lone travelers, rides on the back of motorbikes (actually low-powered scooters) are popular too (known as Xe om, literally meaning motorbike-hug). Uber has also launched in Hanoi, and while they have a few districts they operate in, they do offer more consistent pricing than taxis. The Vietnamese Women’s Museum is an informative museum containing histories of women heroines and family rituals surrounding Vietnamese women. The Ho Chi Minh Mausoleum entombs the body of the illustrious leader, Ho Chi Minh. It details the events of the leader’s life and the presentation is very unique. The National Museum of Vietnamese History shows events from the 1,000-year-old history of the country. The Vietnam Museum of Revolution contains detailed exhibits of the struggle of the Vietnamese against the French and the Americans. Hanoi Rock City is one of the best venues in town. The offerings are varied, from international rock bands to acoustic sessions, and if you’re travelling with your banjo and fancy playing to a crowd you can rock up to their Wednesday night open mic night! Upmarket Vietnamese restaurants in central Hanoi are also good places to catch traditional Vietnamese music. Cay Cau in De Syloia Hotel and Club Opera Novel Restaurant Bar Lounge are two spots to hit. Bun Bo Nam Bo, is perfect for the open minded traveler looking to get a taste of Vietnam, just don’t expect to be pampered, you’re here to eat! If you’re missing the taste of home and want something a little more familiar head over to Black Jack’s Restaurant for some high quality international cuisine.